Simple sound trigger for cameras and flashes. Experiments with the external trigger function in my EOS 400D inspired me to develop a simple do it yourself sound trigger. 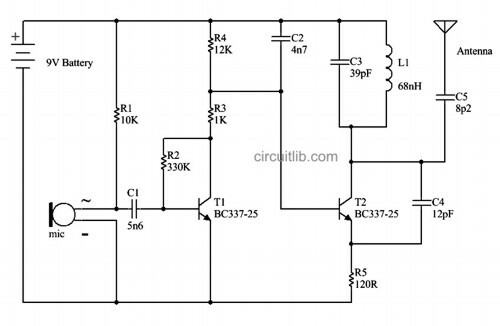 This microphone preamplifier circuit strengthens the acoustic signal of a mobile coil microphone or MC (Moving Coil) with a sensitivity of 150Î¼V at the line level.